Last week I had the opportunity to tour a beautiful family oriented premier health club and hotel in Orange County. A fantastic facility that offers fitness, relaxation, and a variety of social activities for the entire family, the Renaissance ClubSport in Aliso Viejo that has it all for an active lifestyle. Nestled up in the hills of Aliso Viejo, The Renaissance Club Sport is one of two of it’s kind in California. When you walk into the immense lobby, to the right is a Marriott hotel. Straight ahead is the Citrus Express and Citrus Grill offering a variety of healthy options, and the Sports Club Check in to the left. I was greeted by the delightful Frank Villar, the Sales Director at Renaissance ClubSport, Aliso Viejo shared the highlights of the facility. We started off at the R Spa and Boutique. A calming, tranquil space for relaxing, unwinding and rejuvenating. I was invited to enjoy a mini spa treatment which ended up being just what I needed with the chaos of the week, a 30 minute stress massage. Back in the lobby, I re-met up with Frank and we began our stroll through Renaissance ClubSport, Aliso Viejo. First stop was Kids World. All Renaissance ClubSport family members receive three hours of complimentary Kids World childcare per day, therefore, parents will have time to work out, enjoy lunch, or indulge in a spa treatment. Childcare is also available to hotel guests for a nom nominal fee while parents are on the premises. Kids World is for little ones from 6 weeks old through 12 years, leaving little excuse for “ME time” for mom while caring and attentive childcare specialists keep watch over the kids . The 85,000 square-feet gym offers world-class fitness with state of the art cardio and strength training equipment, six fitness studios for an amazing number of fitness classes, racquetball, handball and squash courts, and an aquatic center. Recently added to the Renaissance ClubSport is their splash pad that offers a fun environment for the kids. With small wading pools next to the splash pad, smaller children are encouraged to wander through this play space, leaving the pool open to swimmers. After a great workout, you’re probably hungry. The Citrus Grill or Citrus Express offers a variety of food options. From light sandwiches, smoothies to steak salads, flatbread pizzas and tuna wraps, you’re sure to find something that hits that hunger spot. The Citrus Express opens up to a beautiful patio that is perfect for catching up with a few friends, a light lunch or an afternoon cocktail and social hour. 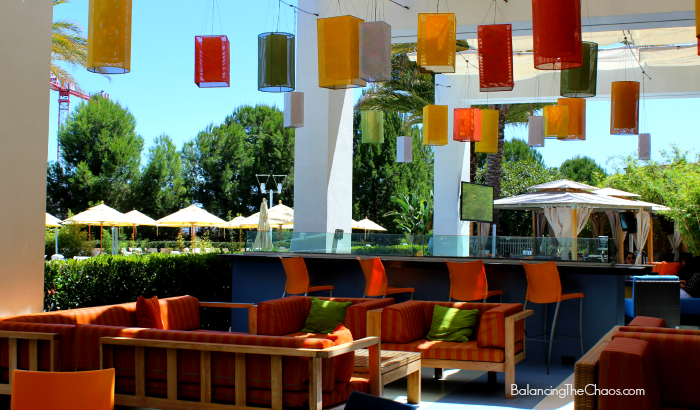 Renaissance ClubSport, Aliso Viejo just launched a new Social Membership for $60 a month. This unique membership offers entry to an awesome variety of social events, access to Kids World (3 hours of complimentary childcare), Citrus Fresh Grill, discounted spa rates and admission to the beer and wine club. The social calendar includes events like wine tasting, taco tuesdays and big gatherings like September’s Ren Studio 54 Disco Party. To learn more about the new Social Membership or to sign up, please call member services at: (949) 734-4267. For more information about Renaissance ClubSport Aliso Viejo Laguna Beach, connect via their social media: Website, Facebook, Twitter and Instagram.